KATHMANDU, Aug 24 : Minister for Culture, Tourism and Civil Aviation Rabindra Adhikari has said there is a lack of institutions to produce skilled manpower required for tourism sector in the country. Even though there was enough possibility of the tourism entrepreneurship in the country, skilled manpower is not available, he pointed out. 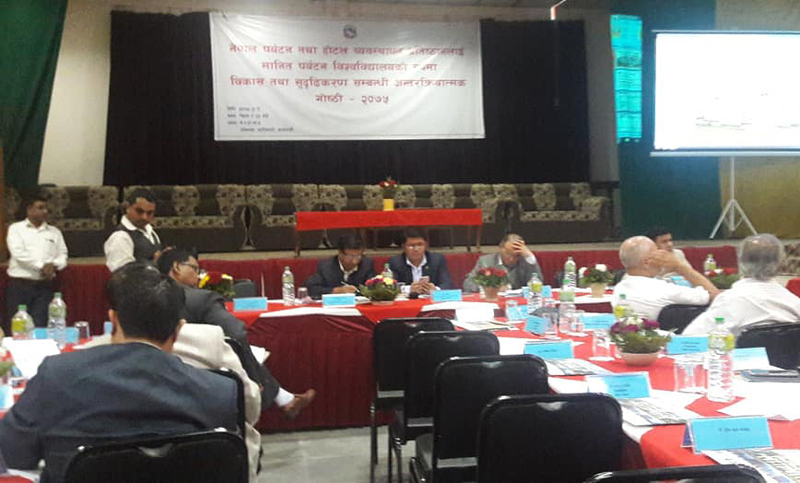 Speaking in a programme organized to upgrade Nepal Academy of Tourism and Hotel Management (NATHM) into a university, Minister Adhikari came with the views. He also opined for establishing a tourism university following public and private partnership modality. Secretary at the Ministry Krishna Prasad Devkota also stressed on establishing a tourism university to produce skilled manpower required for tourism sectors. Nepal Academy of Tourism and Hotel Management (NATHM) established by the Government of Nepal in 1972 with the technical assistance of UNDP/ILO with an aim to produce skilled workforce required by hospitality and tourism industry in Nepal.